2015-06-20 Coneflower from the garden. Beautiful study of this well-loved garden flower. It appears that you caught them blowing in the wind! 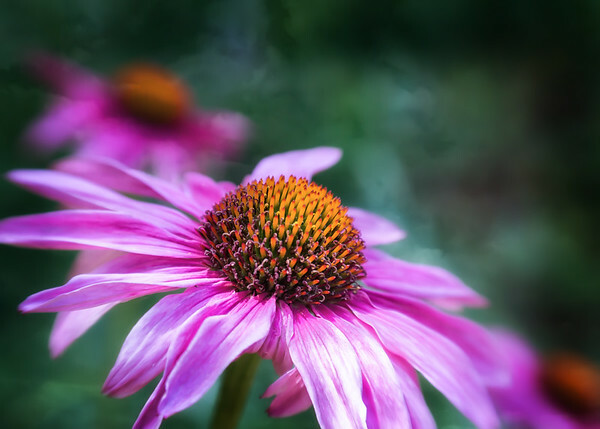 I, too, photographed some pink coneflowers on 6/15/2015 and they are "in the can" awaiting their debut!